Whether you are an electronics enthusiast, a DIY hobbyist or a professional in troubleshooting or installation and maintenance of equipment, you may own a handheld test tool or two. Here you will find application, tips and tricks, new product announcements and more – all pertaining to handheld test tools such as handheld digital multimeters (HH DMMs), clamp meters, scopes etc. 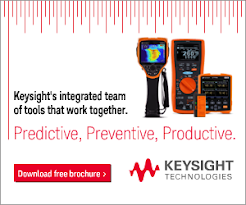 All of these are from Keysight Technologies handheld test tools team who has more than 75 years of combined experience. The "Intelligent Vehicle driving research team" from Beijing Union University was formed in 2012. The team was focused on intelligent vehicle transformation project (automatic steering system, automatic acceleration system, automatic braking systems and automatic gearshift system modification). They used GPS and INS navigation system for the route planning. The vehicle was also installed with mobile radar, cameras and sensors in order to identify the target and object. The intelligent decision algorithm embedded system would control the vehicle on the test route. To enable the unmanned vehicle experiment, the steering, breaking system, gear control as well as the acceleration systems that were controlled by the driver had to be modified. The team revised the existing steering system and installed additional control motor, sensors and other equipment in order to convert it from manual control to system control. This modification had led to higher power consumption due to the additional industrial PC, motors, sensors and other devices to the existing car battery source that impacted the power cord and required power redistribution. To resolve this issue, the project team had to run a test on the newly added devices on the modified vehicle to estimate the power consumption. Current values of several control actions were required for reference. The team used a handheld DMM to measure the actual current drawn in the testing. 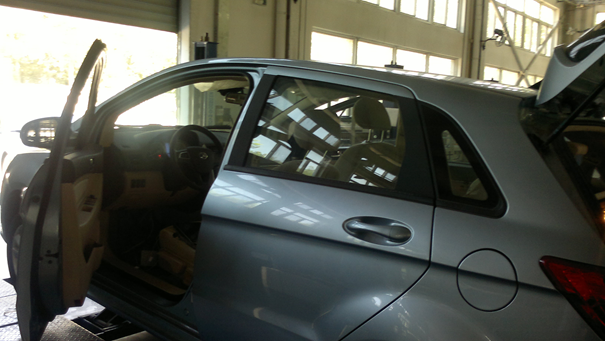 The vehicle was parked on the lift with the front wheels lifted up by the lift to test on the acceleration, with steering instruction from the Industrial PC outside of the vehicle. The multimeter had to be inside the vehicle to run the test. The project team had encountered difficulty to perform the measurement as no one was allowed to stay inside the vehicle during the test. They needed a remote solution. The project team used the Agilent Wireless Remote Connectivity Solution to resolve this issue. They connected the Agilent U1232A handheld multimeter with the U1177A Bluetooth Adaptor and left it in the vehicle, and recorded the measurements with the ‘Mobile Meter’ and ‘Mobile Logger’ free apps that were installed in their Android tablet. The team finally accomplished the testing safely within a 10-meter distance boundary. Agilent Technologies Electronic Measurement Group is now Keysight Technologies.